When you need to call upon expert Bentonville movers, make Razorback Moving LLC Bentonville the name you trust. Since 2003, we have been the moving company that has provided the entire Northwest Arkansas area with professional moving and relocation services at a fair, competitive price. Today, we are proud to carry on our tradition of excellence and help residents and businesses in Bentonville and the surrounding communities. We only hire full-time employees who work only for us, are highly trained in all necessary moving and lifting techniques. We place down floor, door, and wall protectors when moving to prevent and scuffs, scratches or other damages. We have a storage facility for safe, dry, and secure storage should you need to use it. Our moving trucks are larger than most others, which allows us to complete moves quicker and in fewer trips than the competition. Our bentonville moving company is open for business Monday-Saturday, and will gladly work flexible hours to meet your demanding schedule. We are fully licensed, bonded, and insured for moves in Arkansas. Additionally, our Bentonville movers have won the Best of Rogers Movers Award for 2014 and 2015. With accolades like this to our name, you can trust that Razorback Moving LLC Bentonville offers nothing but the best moving and relocation services around. To learn more about how our Bentonville movers can simplify your upcoming home or business relocation, please call or e-mail Razorback today. With our Bentonville moving services, you will always know what to expect; you will work with a relocation consultant who will determine the logistics of your move before we start the process. You will also receive documentation of our policies and pricing; complete customer satisfaction is our goal, and we work to stay within your budget without sacrificing time or the quality of our moving services. To avoid these potential struggles, contact the Bentonville moving company Razorback Moving LLC Bentonville. We can handle anymoving job, big or small, local moving or long distance moving. Contact us today at 479-715-8788 for your free in-home moving estimate! What are the best neighborhoods for families to consider when moving to Bentonville? Our busy Bentonville moving company has seen every square inch of the city, and there’s a lot for families to love! Kensington / Stonehenge are among the many family-friendly neighborhoods worth considering within the city limits. There are also many safe and kid-friendly neighborhoods like Denali Park, Dogwood Place, or in Downtown Bentonville. Some office movers in Bentonville, AR only handle specific types of moves or work solely with large corporations. At Razorback Moving LLC Bentonville we know what it’s like to be a small business because we’ve been there. We’re one of the best moving companies in Bentonville, AR for companies of all sizes. Our team is experienced is helping companies move out of and into a variety of office spaces. 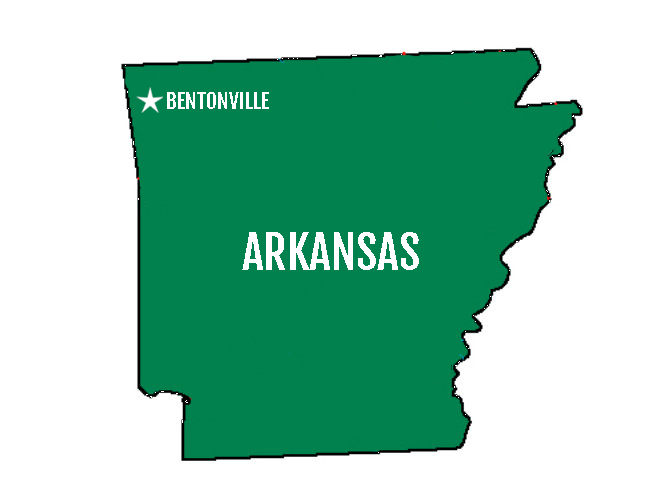 Does Razorback Moving help with packing and moving in Bentonville? Or just moving? At Razorback Moving LLC Bentonville we do it all at an affordable price! Our Bentonville, AR moving company can handle packing jobs of all sizes, including specialty items like pool tables, pianos and bulky furniture. Is it easy to get a quote from Bentonville area moving companies? When you work with Razorback Moving LLC Bentonville it couldn’t be easier to get a moving quote! Our Bentonville moving company gives you two ways to get a quote. You can get an instant quote online, or you can call to schedule a free in-home estimate for a more accurate quote. Which Zip Codes Are Encompassed in Bentonville? Don’t waste time moving. Hire the Bentonville Movers Razorback Moving and Storage to handle all of your packing, local moving, long distance moving and storage needs. Contact us today at (479) 715-8788 for a free, no-obligation quote.